Join the Sew Fab team! Are you searching for more than just the every-day clock in, clock out task-driven job? Join the Sew Fabricated family and let loose all your bottled up creative power as the lead facilitator and trainer of our Long Arm Machine rental program. 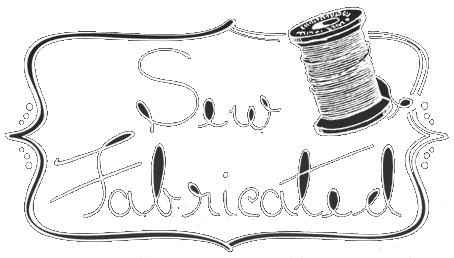 At Sew Fabricated, our culture is to serve our customers through meaningful relationships, fabulous fabric, and pretty cool products in a fun, friendly environment. Sew Fabricated is a different kind of company that requires a different kind of person. Your proven high-energy, customer centric attitude will be a perfect fit with us! As lead facilitator of the long arm rental program, your creative days will be filled with training customers for long arm certification, supervising customers during long arm rentals, scheduling long arm classes and training, teaching classes on various long arm techniques, maintaining rental and training records, ordering long arm supplies, and quilting shop samples. Because our long arm rental program is new to the shop, you will be integral in establishing and marketing this program to the DFW community. Proficiency in various long arm machine techniques and pantograph is necessary. Verifiable experience and expertise in using and teaching long arm techniques. Saturday’s and some evenings are required, but we are always closed on Sunday! The ability to communicate in a friendly, professional manner while building meaningful relationships with our customers is a must. Sew Fabricated is a drama free, no excuses, no victims allowed, fun, energetic, creative work place! Why settle for a mundane, task-driven part-time job when you can use your creative passion to thrive in an environment where creating and designing are a part of our very fabric! At Sew Fabricated, we don’t settle for boring and un-inspiring, but strive to set the standard in the quilting and sewing world. At Sew Fabricated, our culture is to serve our customers through meaningful relationships, fabulous fabric, and pretty cool products in a fun, friendly environment. Sew Fabricated is a different kind of company that requires a different kind of person. Your proven high-energy, customer centric attitude will be a perfect fit at Sew Fabricated while you partner with our loyal customers in making design and purchasing decisions. Don’t be stuck in the everyday grind of performing meaningless tasks. Use your passion and abilities while playing with fabric, designing welcoming displays, and creating shop samples. The ability to communicate in a friendly, professional manner while building meaningful relationships with our customers is non-negotiable. Saturdays and some evenings are required, but the shop is always closed on Sunday.